The Advisory Board plays a vital role and brings value to the management of the Programme through; complementary expertise, commercial relevance and advocacy. Updated upon progress and meeting once a year the Advisory Board provides wider technical advice and ensures that PRiME maintains its international relevance. Topics discussed within the Board include; routes for potential exploitation and the addition of further commercial collaborators. 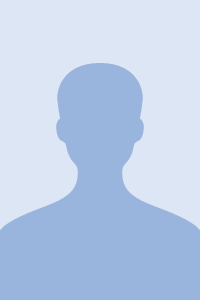 Furthermore, three eminent international scientists; Professor G. DeMicheli, EPFL, digital systems, Professor J. Wawrzynek, Berkeley, architectures, and Professor P. Kelly, Imperial College, software technology, serve as independent Scientific Advisors and members of PRiME’s Advisory Board. 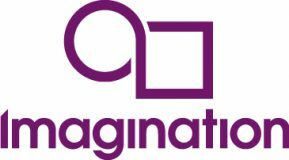 Imagination Technologies – a global leader in multimedia and communication technologies – creates and licenses market-leading processor solutions for graphics, video, and display, embedded processing, multi-standard communications and connectivity, and cross-platform V.VoIP & VoLTE. 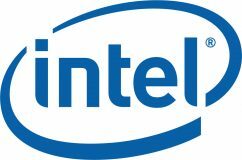 Intel Programmable Solutions Group (formerly Altera) is at the forefront of technology innovation, providing customers programmable solutions for leading-edge electronic systems that are shaping our modern world. As Altera, Intel PSG has been supplying the industry with access to the latest programmable logic, process technologies, IP cores and development tools for more than 30 years. Founded in 1991, Microsoft Research is dedicated to conducting both basic and applied research in computer science and software engineering. Scientists and engineers focus on more than 55 areas of computing and openly collaborate with leading academic, government, and industry researchers to advance the state of the art of computing. NXP Semiconductors (formerly Freescale) is a world leading Integrated Circuit and Systems design company. NXP enables secure connections and infrastructure for a smarter world, advancing solutions that make lives easier, better and safer. As the world leader in secure connectivity solutions for embedded applications, NXP is driving innovation in the secure connected vehicle, end-to-end security & privacy and smart connected solutions markets. EPSRC is the main UK government agency for funding research and training in engineering and the physical sciences, and primary sponsor of PRiME. The Council invests more than £800 million a year in a broad range of subjects – from mathematics to materials science, and from information technology to structural engineering. NMI is the active industry association representing the UK Electronic Systems, Microelectronics and Semiconductor Communities. With a growing membership (currently 270 organisations), our objective is to aid the development of a sustainable, world-leading UK based industry by building a strong network and acting as a catalyst and facilitator for both commercial and technological development.